Please feel free to contact us with any inquiry you may have. 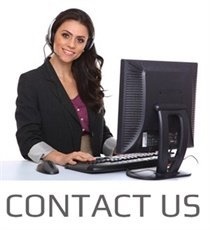 Or simply fill out the contact form below and we will get back to you as soon as we can. 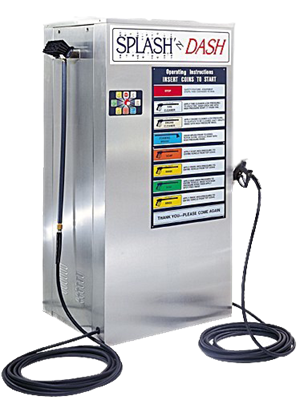 This ULTRA compact sized WATER-I-VAC provides industrial grade powerful Vacuum & Water dispensing in an all in one car care machine to provide long maintenance free years of a full service wash bay while generating a sustainable revenue stream $1-$2 from per Vacuum usage and 20-40 cents per water usage. Both water and vacuum can be used at the same time. Upon inserting a coin the large respective countdown LCD screen on an attractive bright yellow with designer outdoor sticker visuals gives an unique satisfaction to residences & car owners. Ideal for medium self-service usage locations at condominiums car parks, workshops, public(HDB), and private residential car wash bays. The Water-I-Vac is the most cost effective & power efficient vacuum and has only 1 motor and 1 filter bag and fits in the centre of any car wash bay or compactly wall mounted. 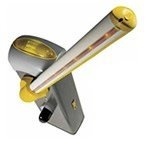 It can either be manually operated or coin operated as shown above. A water valve with water hose may also be added to enable water dispense functions for the perfect all in car wash bay solution for basic interior and external car care function. Cut your manpower cost & increase customer satisfaction on you per car wash speed with a spot free finish with our powerful heated air dryer. We manufacture, sell, repair and maintain different types of water dispensers: coin operated, cash card operated and aqua save water dispensers. The Splash N Dash is a single bay self service all in one car wash station.